Zila Ghaziabad is based on the Gujjar gang wars that took place in 90s Ghaziabad. I was quite positive about not coming across any film that is worse, or even close to being as bad as RGV's Department. 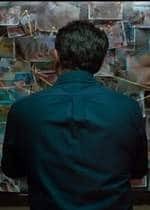 But in Bollywoodland, one cannot be too sure, as the competition to prove one's own inanity is fierce, and if you believe you've already seen the worst, well always think that the real-bad is yet to come..
Zila Ghaziabad is an extremely unoriginal, ultra-shabby mess that stuns you with its collective gaudiness. It claims to be inspired from real-life events, of gang-wars that were very much existent in Ghaziabad circa 1990's. But this kind of extreme exaggeration -where cops indulge in uninspired buffoonery and goons speak lines like, "Agar pyaar se nahi aaya na toh saale ke pichwade mein itni goliyaan maarunga ke uske bache peetal ke paida honge," is not just a reflection of a dearth of creativity and imagination, but ends up trivializing, discrediting and stereotyping a certain region. Based on a gang-war that is triggered because of a disputed plot of land that later extends to political hegemony ultimately taking gibberish forms, debutant director Anand Kumar relies on other gimmicks to make his film work, and sadly they are as cheesy as the aforementioned lines. 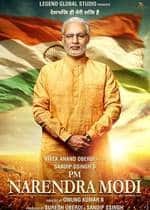 The excessive bloodbath (borderline Rakht Charitra; Vivek Oberoi feels at home) that is consistent doesn't help in being a distraction (Ravi Kissen's fluctuating accent does), but instead highlights the essential conflict that is wafer-thin. Just why are these hooligans shaming a part of Uttar Pradesh (thanks to the production designer, this place looks absolutely UNUTTAR PRADESH)? 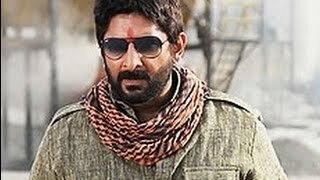 Why is Arshad Warsi wearing kohl that makes him look like a dubious terrorist more than a rustic villain? Why is everyone wearing Ray Ban glares when clearly this lawless movie isn't the perfect flick for brand placements? 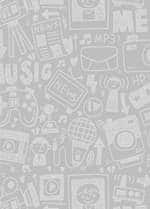 Well, don't expect all these questions to be answered. But these are not little, but enormous loopholes worth pondering over. The only stock character that shows genuine commitment is Vivek Oberoi's Satbir, who is a teacher-turned-gangster. The very transition of Satbir, from a man rooted with idealistic morals to becoming an outlaw, has considerable shock value and Oberoi enacts the character with the necessary intensity. And so does Paresh Rawal for the little time that he's there on screen. 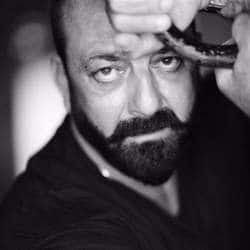 Sanjay Dutt who plays one Hindi-song loving, Chulbul Pandey-inspired Pritam Singh is so annoying; you feel guilty for having liked his previous films. The supposed enabler of law in the apocalyptically-doomed Ghaziabad, Dutt kills you with his horrendous one-liners, one of which goes, "Hum kaun se Salman Khan hai jo commitment karke peeche nai hat sakte,"
No, Mr. Dutt, you are not Salman Khan. You are a much better actor capable of great things. Doing such awful cinema is a terrible undoing of the good that you've already done, and no actor should subscribe to such shocking amount of sub-standard hokum. Ever. Meanwhile, if you skip this film your life is going to be happier.